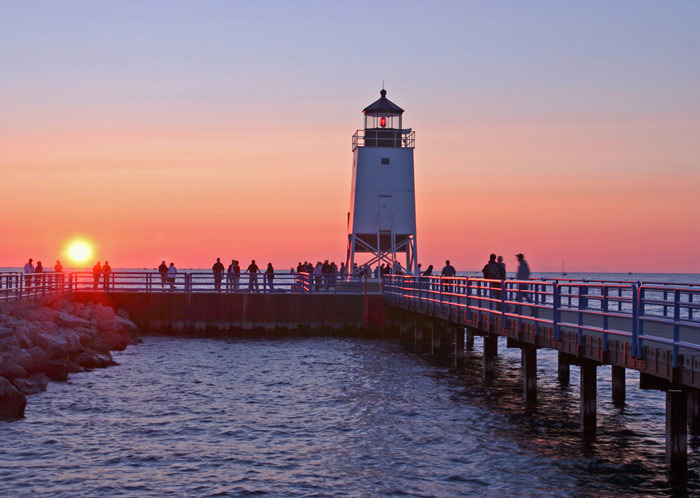 As the sun sinks into the great lake, many hang out on the Charlevoix lighthouse pier. For such a plain looking lighthouse, it is surprisingly very photogenic, thanks to the sleek profile of the south pier and beautiful background sunsets. Photo © copyright by Mike Barton.